Late one afternoon I finally got to picking the dried black beans. As soon as I reached up to remove the first pods my daughter squealed and asked, “Are these different ones!? Don’t tell me what they look like!” She ran off holding a single dried pod like it was a present all wrapped up in pretty paper. You see, something amazing happened a few days earlier. 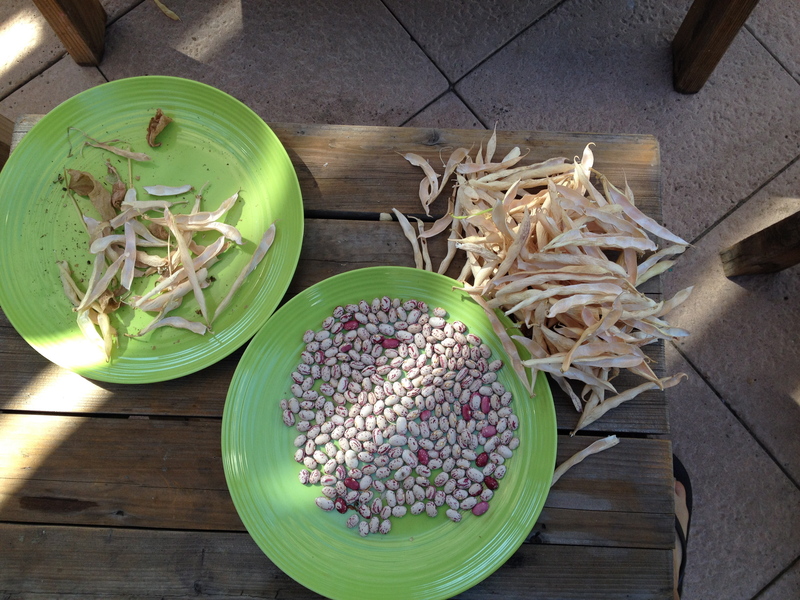 One morning, as we were puttering around the house, I started to harvest and shell a different set of beans, Lina Sisco’s Bird Egg. Both of my children were tickled by the beans’ speckled pink flecks and the occasional pod that revealed pink hued beans with white flecks. They both helped me shell the entire lot. And, that was just the beginning. We left on vacation for five days and came back to one sprout. She was so very happy. The next two emerged the day after we returned. Upon examining them closely, she realized that the bean itself had popped out of the ground and opened to unfurl the first couple of leaves. “That is amazing!” she exclaimed eyes nearly popping out of her head. She has planted countless seeds in the ground and watched so so many garden vegetables grow, but this time around it seemed to take on a whole new meaning for her. Her depth of understanding had grown. And this, after at least a year or two of not showing that much interest in the garden beyond it making great living spaces for her little plastic animals. As this all unfolded, I was reminded of a post I wrote shortly after I started this blog. I witnessed the same magic with a couple different groups of students as they pulled carrots out of the ground. And it is really truly magical. I take it all for granted. 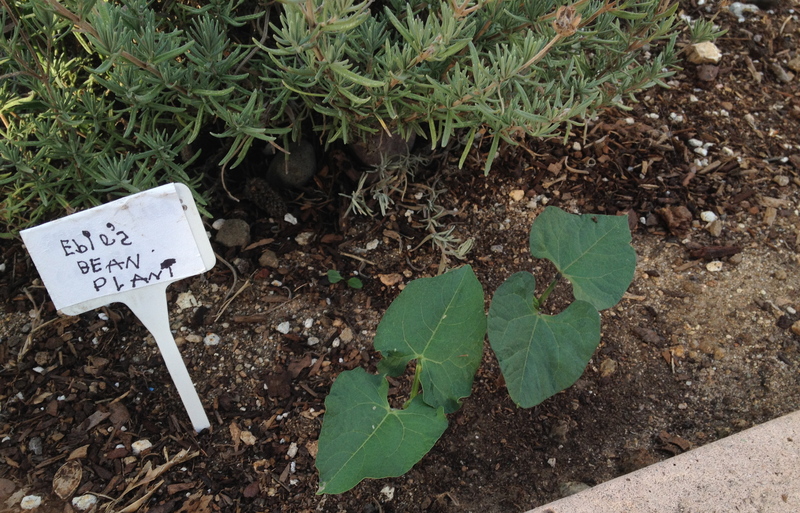 You put a seed in the ground, it sprouts (most of the time), and you end up with a plant and hopefully some food. I witness the magic all the time and sometimes pause to revel in it, but it is different through a child’s eyes (as many things are). My new classroom opens up to my school’s courtyard, which is filled with garden boxes. It had always been my plan to use that space regularly, and bring it into the classroom so to speak. But now, I am committed to making it part of the fabric of our experience together as learners. Because there is just something about beans and carrots and peas and broccoli and and and…. What a delightful story. I remember when my young son first enjoyed seed-planting. It’s a joyous experience when one catches the gardening bug.